Perezia is a member of the Sunflower Family. The plant grows to 3 feet in height and has dark green, leathery, oblong leaves that are wrinkled with spiny teeth to 5 inches in length. The base of the leaves touches the stem of the plant. 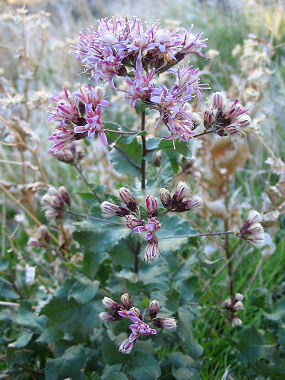 The plant can be found in foothills and canyons at elevations below 6000 feet. Perezia attracts butterflies and bees. 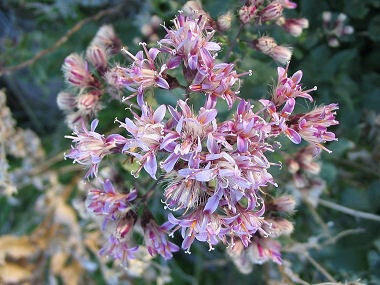 Perezia blooms between January - June and produces clusters of pinkish purple flowers to 3/4 inches in width.